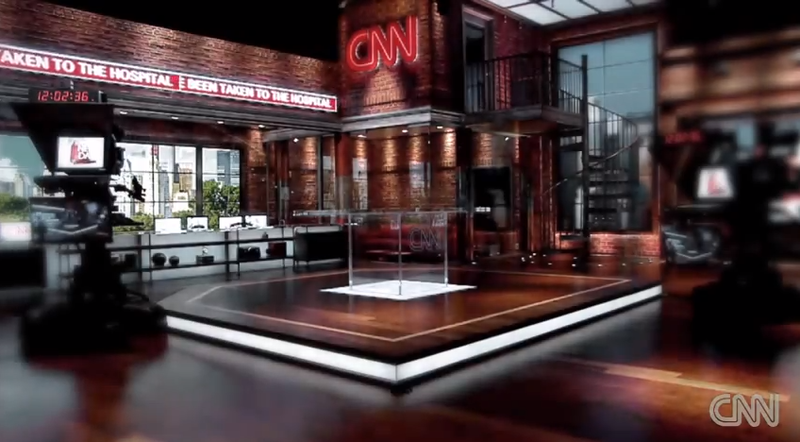 CNN released a new promo for its upcoming morning show, which debuts this Monday. The new promo shows a view of the completed set, the first full preview. Along with the brickwork, the set includes a large see-through anchor desk, spiral staircase, faux windows and lots of little nicknacks. It’s also worth noting the promo features footage of the anchors on what appears to be the “Piers Morgan Tonight” set — with the background lighting turned off to create a different look than the normal bright colors. Interestingly, as NewscastStudio previously reported, Morgan’s set was moved from the studio now being used for “New Day” earlier this year to allow the new show to make use of the larger space. “New Day” debuts Monday, June 18 on CNN.